Males display on dancing grounds known as leks. Females visit the leks to mate, then go off to raise their brood by themselves. Traditional lekking grounds may be used for decades. 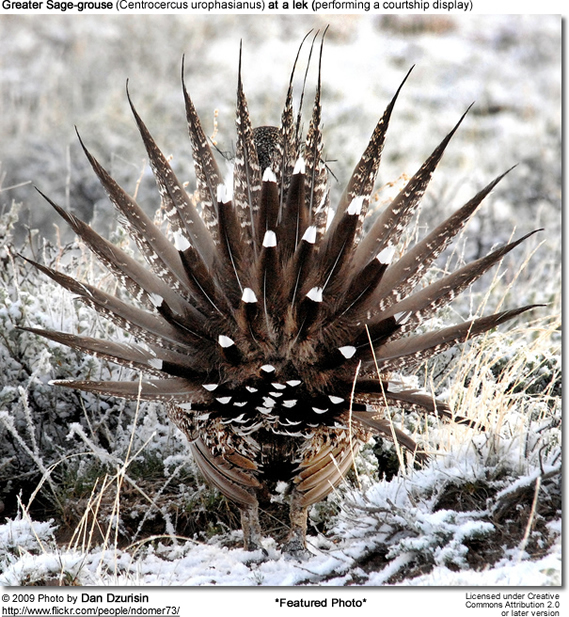 Although many male Greater Sage Grouse may display at a lek, only one or two males get picked by a majority of the females for mating. The photographer, Dan Dzurisin, and his group were fortunate to observe a lek with about 15 males displaying for 2 females.